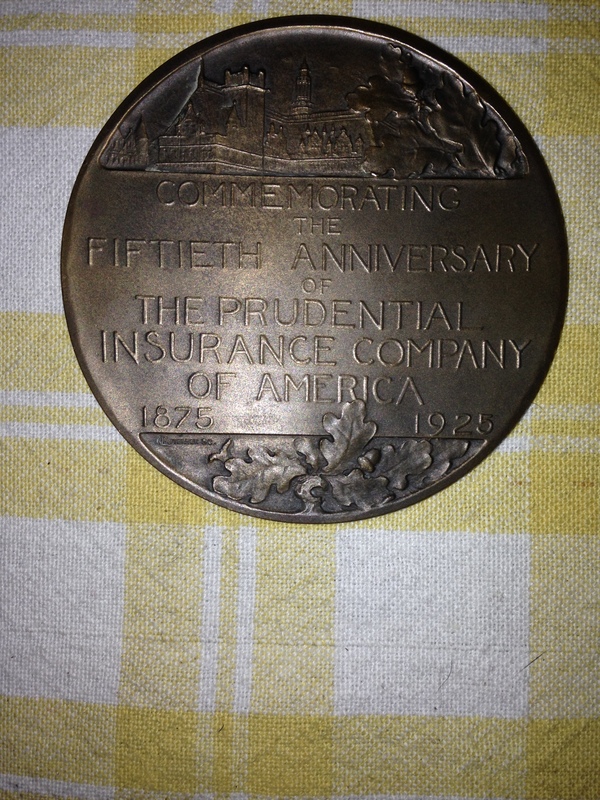 The Company now known as Prudential Financial was founded in Newark in 1875. 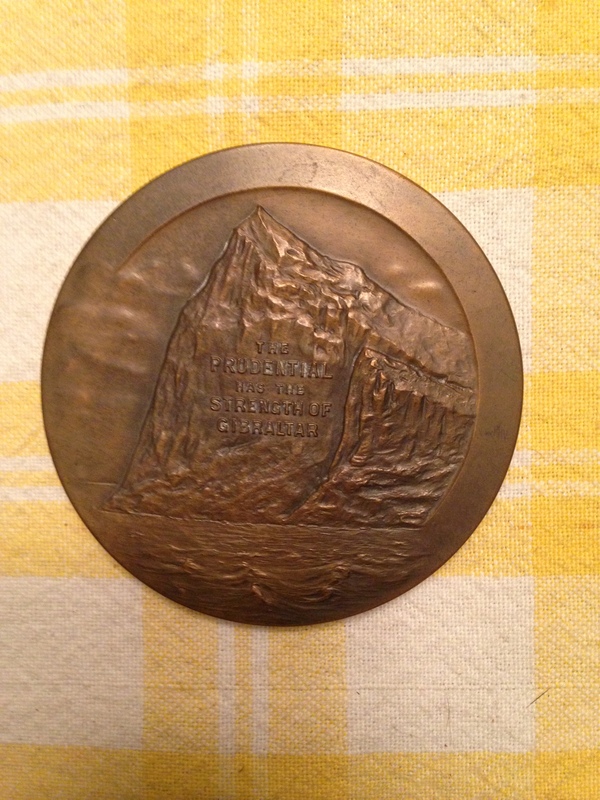 To celebrate their 50th anniversary in 1925 the bronze medal shown here was struck. The medal could certainly have served as a paperweight if one wished to do so.